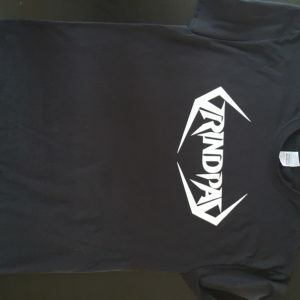 Hi all you thrashbangers! Happy new year to you all! To kick off the new year from camp Grindpad we’ve added some new dates so go ahead and check those out. Some quick news on the album. We’re nearing completion but we’re working to make everything sound just right and this takes a bit longer. But we won’t settle for anything less. 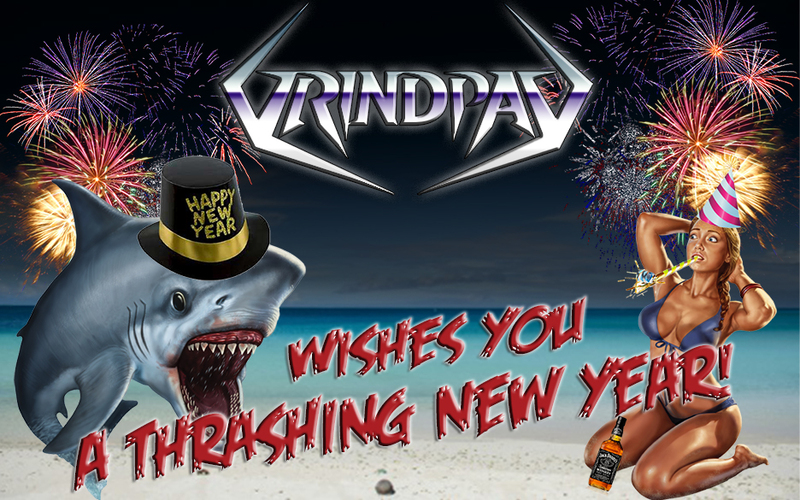 So hope the hangovers from the NYE party are gone by now and ready to get some more in the new year!! 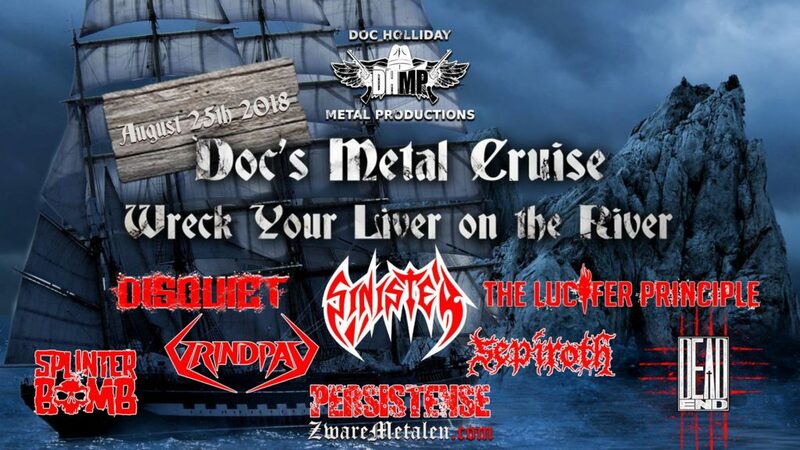 Grindpad to join Doc’s Metal Cruise! 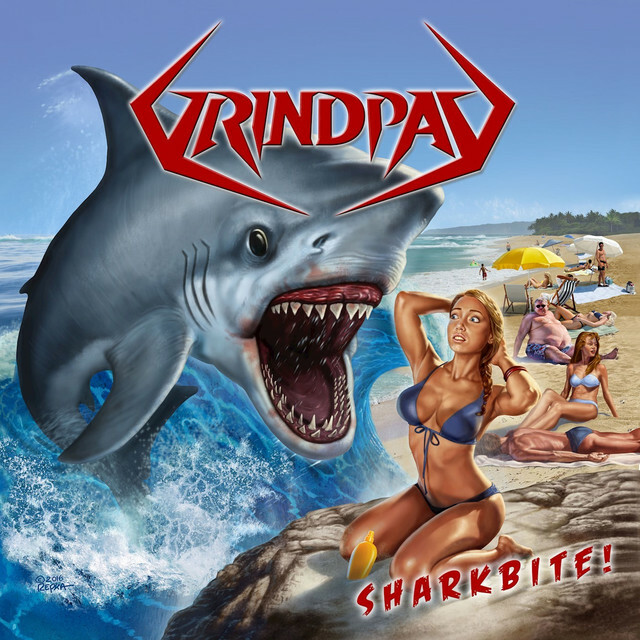 Grindpad is proud to announce we will unleash the sharks during Doc’s Metal Cruise on 25th of August! Be there or be a filthy landlubber! Great news for all the thrashers around Pijnacker! 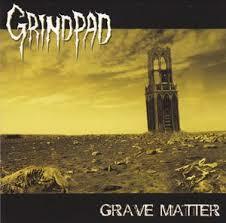 Grindpad will be rocking “de Trucker” together with our friends from Suicide Attack and Defazer! 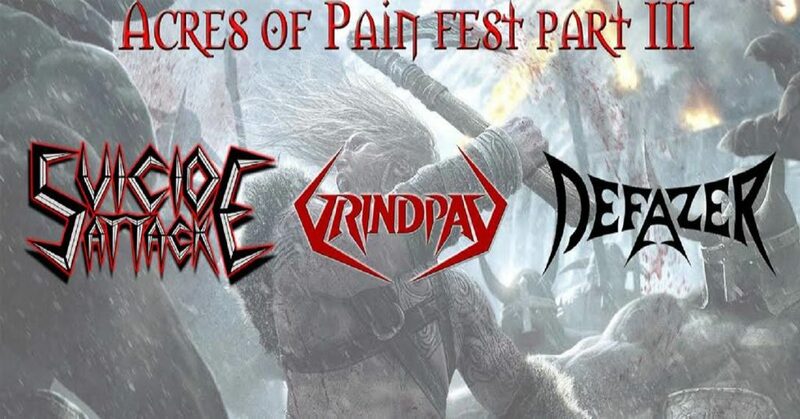 This will be an awesome night filled with the finest Dutch thrash metal. Get your tickets in advance to have a chance to win a some great band merch. 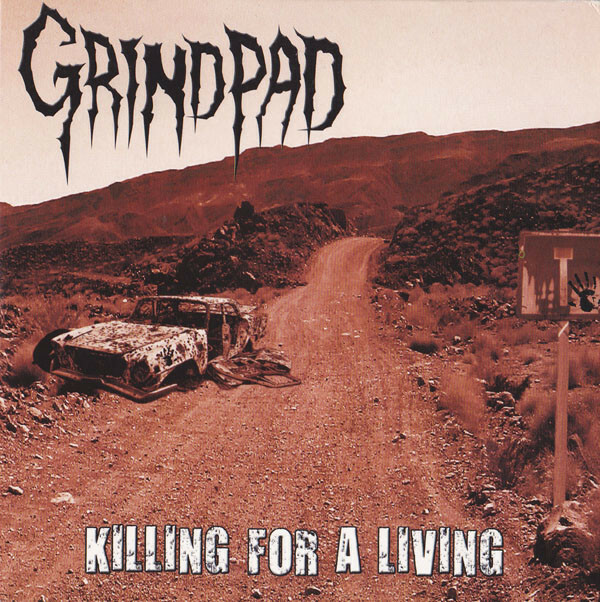 Paul Beltman joins Grindpad on drums! We have some great stuff to share today! I know it’s been a bit quiet but a lot has been going on. 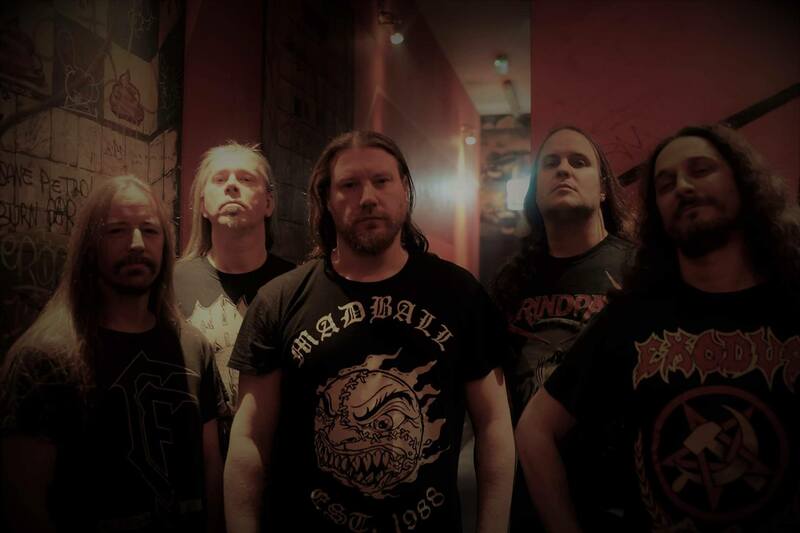 First and foremost we are extremely happy to announce that Paul (River of Souls, ex- Sinister, ex- Judgement Day) has announced he will join Grindpad as a permanent member. We could not be prouder and happier with this. Paul has done an amazing job on the Sharkbite! EP and during our times on stage together. He really gives us that last bit of aggression that we were looking for. With a stable lineup we can also announce we are very hard at work on the new album. This will be our first full length and we have some nice surprises for you! We will be able to share more in the near future. Meanwhile, we still have some copies left of the Sharkbite! EP so hit that buy now button if you want one. We’re very happy to announce that we will be playing Occultfest in Hoogeveen on the 2nd of September. We will be playing a bit early so we can give you a proper thrash wake-up. Hope to see you all there to rock with the Sharks! We’ve recently released the official video for Sharkbite! 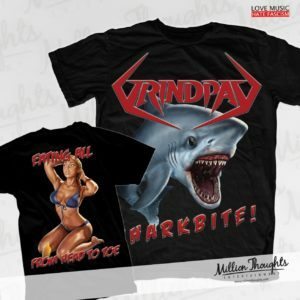 We reckon a lot of you like grindhouse horror as much as we do so we’re sure you’ll love all the B-horror sharks as much as we did! Just checking in to let you all know we’re now available for streaming and purchase on Bandcamp. We have both the Sharkbite! and Poser Killer EP’s available.